What is a Medigap or Medicare Supplement? You must be enrolled in Medicare Part A & B to be eligible to purchase a Medicare Supplement. You may want to enroll in a Medicare Prescription drug plan to help pay for current or future medications. 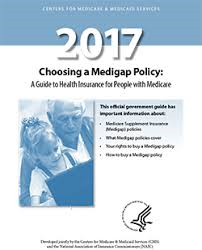 Medigap plans pick up all or most of the balance of Medicare deductibles, copay’s and coinsurance. Medigap plans are offered by private insurance companies and can offer extra benefits like a gym membership, discounts on vision, hearing and dental. There is an extra premium above your Medicare Part B premium. The premium is determined on your age zip code and the lettered Medigap plan you choose. On Jan. 1, 2020, legislation passed by Congress in 2015 kicks in, closing access to two of the most popular Medigap plans (Plan F and Plan C) to new enrollees. If you’re 65 now – or will reach that age before January 1, 2020 – you can still sign up if you qualify, because you’re in the initial sign-up period or if the insurance company accepts you. Having served the Medicare community since 2000, I’m Independent Local, Licensed, Certified, Authorized to sell and contract with most of the insurance companies in Arizona. I work for my clients and NOT the insurance companies. You have questions – I have the answers or know where to find them! Our services are NO cost to you as the insurance companies pay us a commission. You receive the value benefits of an independent broker working for you and not an agent working for an insurance company so there is no difference in cost to you.